Any user can be promoted to be a “moderator”. Moderators are responsible for moderating a deep discussion, summarizing discussion points and writing opinions (optional). Moderators have access to special moderator dashboard. 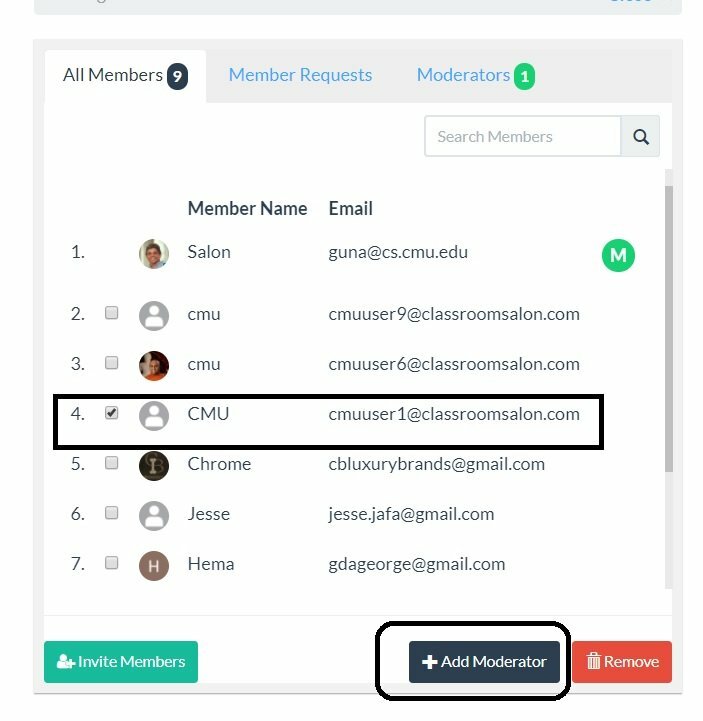 Moderators can be appointed by selecting a member and clicking on “+ Add Moderator” button as shown below.